ʻĀINA Gardens Ready for Spring! Last month, ‘ĀINA program schools participated in Spring Garden Parties to prepare gardens for the new year. 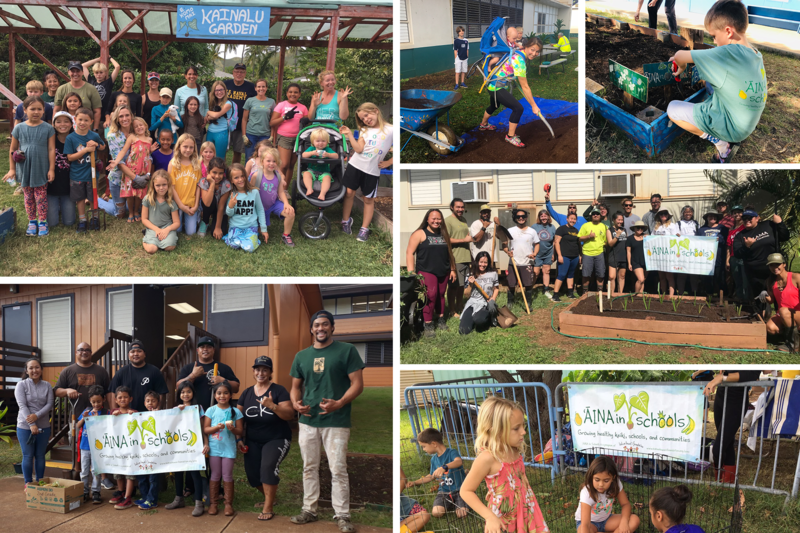 Thanks to the help of parents, teachers, families, and even UH West Oʻahu students, our learning gardens are in great shape for students to continue hands-on Farm to School education. This semester, Kindergarteners will explore edible plant parts, Grade 1 will learn about companion planting, Grade 4 will continue to care for their Hawaiian garden, and Grade 5 will embark on a Scientific Garden unit! Mahalo to all of our Garden Party volunteers who continue to help our gardens thrive!